Splawn Amps: Not the best name in the world? What you are buying is the sound and build quality. Has Scott Splawn hacked it with this Nitro amp? Here we go again with an amp you've never heard of... another one for the pile... and how much does it cost? I can hear you saying that right now as you read this review of this amp. The thing is, you have been missing something - until now, and I'm going to let you in to a little secret weapon that exists out there in the big wide world we call earth. It's the Ssplawn nitro. Here is a custom amp maker that actually makes amps and customizes them for you for no extra cost! Beyond my price you will say - well think again my friend. 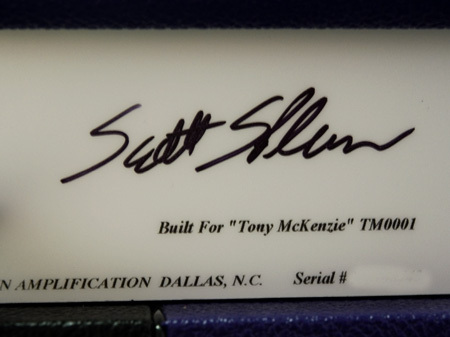 This amp was $1950.00 and $2250.00 shipped to the UK. It equated to about £1200 in the UK at that time (nearer £1800.00 in August 2010 and soon to increase further with VAT going up to 20%) - prices have changed since because of those bank yobs but it's still worth every penny. But there is a limit to price. This is an amp that Marshall should have made but did not. You can tell right off from when you receive this amp that it is something a little different to what you would buy from your local guitar shop. The quality of the amp right out of the box is literally breathtaking - and you have not even plugged it in yet! As you can see from this amp, the design is really quite unique and Splawn say they will make ANY design you want - they have many already, so if you like me, wanted too you can choose a design and customize until its exactly what you want. Remember - the way you look and the amp looks on stage MATTERS - why, because musicians are really showmen and everything matters. I had a choice of tubes for this amp - either EL34, 6L6 or KT88 (and I guess other options) but I settled for what I know are brilliant tubes (and bearing in mind the history of this maker) I chose EL34. I did the right thing in my opinion. There is basically a clean channel and a boost channel and solo gain on this amp so not much by way of extras - but this amp does what many out there cannot. By using the volume knob on your guitar and choosing carefully the settings on the amp - it can be one of the finest pieces of equipment you will ever buy. I play rock so this amp is exactly suited to me (if you are top 10 things then look elsewhere this amp will not be for you). Splawn also make other models suited to other styles - visit their site - www.splawnguitars.com to see their full range of gear. So, as you can see this amp is really a 2 channel thing. You won't need any more. I have used the effects loop to good effect (no pun intended) and it does what it says on the tin without undue coloration of the sound from the amp. Another nice thing (which otherwise always annoys me (hello Mesa Boogie) is no switchable power from 110v to 240v AND the issue of no adjustment of the voltages of the tubes ala Mesa Boogie (Biasing) - in the case of Splawn both features are there without paying a bean extra. The Nitro uses custom made Transformers from a company called Heyboer - I had never heard of this company before (must be a USA thing) but I can confirm that they are really well made and absolutely contribute to the sound this amp makes. Checkout Heyboer on the web. It's hard to describe the Splawn Nitro on a page like this so I have developed a website that does just that - and then some. 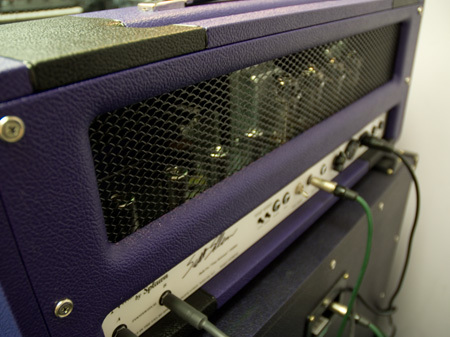 You can listen to the amp and compare the sounds against other amps - checkout the link below. This is an older review and as such I did not go in to the depths that I do of more recent times. 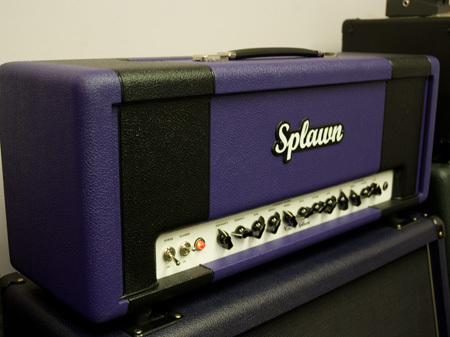 But if you check out the www.splawnamps.co.uk site I wrote you will gain a little more info about this great tube amplifier.